JCPenney is down about 5% after a number of analysts wrote notes undercutting the companies’ raised sales and profit outlook.Consumer sentiment may have beat expectations but investors are not so sure shoppers will keep going back to JCPenney. JCPenney raised its earnings outlook for the year to $2.10 per share from $2 and its profit to $0.23 per share up from $0.18. Investors are worried that JCPenney, which posted a year-over-year profit increase of 36% and beat expectations for adjusted earnings, may be a little bit too hopeful about its forecast for the year. Analysts are worried that Penny’s budget-conscious shoppers will pull back from the retailer when rises in cotton prices affect clothing. Analysts said JCPenney’s, Kohl’s and Wal-Mart are all very vulnerable to their middle-income customer base having less discretionary money to spend if gas prices and unemployment keep rising. 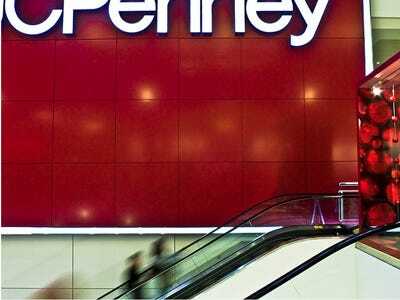 Morgan Stanley analyst Michelle Clark said she forecasts gross margin contraction, contradicting JCPenney’s prediction of flat gross margin. Clark also said investors were hoping the company would announce some real-estate initiatives. In its earnings report JCPenney said it would be relying more on the continuing strong sales of its lines including Liz Claiborne and Sephora. Liz Claiborne shares were up around 5% today.